IES Webinar: Meeting the Goals of the Paris Agreement: What Role Does Land Play? The role of land in meeting the objectives of the Paris Agreement. Human activity in the land sector, such as deforestation and agriculture, is currently responsible for around 10% of carbon dioxide emissions and a third of all greenhouse gas emissions. At the same time, the land is a natural sink for CO2, taking up around a third of all anthropogenic CO2 emissions. Reducing these emissions and enhancing natural sinks are key to meeting the goals of the Paris Agreement. In countries’ climate pledges (i.e. the Nationally Determined Contributions, NDCs), forests are expected to provide up to a quarter of planned emission reductions by 2030. However these Paris Pledges currently only limit climate warming to around 3°C. In order to meet pathways that limit warming to 2°C or even 1.5°C, projections rely on large-scale reduced deforestation, afforestation and bioenergy with carbon capture and storage (BECCS - the carbon is captured as an exhaust gas and stored underground). Land cover change at this scale could have significant implications for land use competition, the environment and ecosystem services. Furthermore, there are major issues with reporting and accounting for land-based mitigation to ensure the credibility of mitigation action. This webinar will present the latest science on land-climate interactions and land-based mitigation, and its implications for policy. 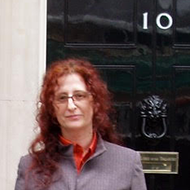 Jo House is a Reader in Environmental Science and Policy at the University of Bristol. She co-leads the Global Environmental Change at Bristol’s Cabot Institute for the Environment and is director for the MSc in Climate Change Science and Policy. Jo specialises in land and climate interactions, including emissions of carbon dioxide from land use change (e.g. deforestation), and climate mitigation potential from the land (e.g. afforestation, bioenergy). She also specialises in climate policy, particularly relating to the land sector. She was recently seconded for a year to the Government Office for Science as Head of Climate Advice and regularly gives advice to the UK Government and other organisations. Jo has been a lead author multiple times for the Intergovernmental Panel on Climate Change (IPCC) who shared the Nobel Prize in 2007. She is currently a lead author on the IPCC Special Report on Climate Change and Land, as well as for the IPCC methods for greenhouse gas inventories. She was a convening lead author on the Millennium Ecosystem Assessment and a lead author on the Intergovernmental Technical Panel on Soils.